Right now, Pacific Environment is gearing up to fight two big threats to the Arctic: a catastrophic oil spill and President-elect Trump’s ruthless fossil fuel agenda. Transported as cargo or used as cheap engine fuel by ships traveling through the fragile Arctic, heavy fuel oil is putting the Arctic’s marine mammals, birds, fish, and the communities that rely on them at risk. This dangerous oil is extremely toxic and has the consistency of asphalt. An oil spill would be practically impossible to clean up due to ice and extreme weather. This year, we created a strong coalition of activists and experts from around the world, and we have been working together to write new international rules to prevent a catastrophic heavy fuel oil spill. Unfortunately, we cannot rely on the future Trump administration to pick up where the Obama administration will have left off to move Arctic shipping away from dirty fossil fuels. After all, Trump has called climate change a Chinese hoax, and he has announced that he will scrap climate funding for NASA, and possibly other federal agencies. Despite these headwinds, we believe that we can win this important fight against toxic oil. We are vigorously building support from international allies to preempt opposition by the future Trump administration. We are talking to representatives of nations that want to protect our climate and our oceans: Canada, Norway, Sweden, Germany, Argentina, South Africa, and many others. And we are asking them to support our demand for an international agreement to phase out heavy fuel oil. We already have pledged supports from 20 key countries. But the progress we’ve made is threatened by the change in U.S. leadership. President-elect Trump seems committed to a dig and drill, bring back fossil fuels agenda that would have been at home in the Eisenhower administration. But this isn’t the 1950s and we can’t afford to wait to bar fossil fuels like heavy fuel oil from the Arctic. We won’t let Trump stop us. We will stand strong in defense of the fragile Arctic. Please join us because your generosity will make a difference. Will you join us and make a generous, tax-deductible year-end gift right now? This is the time to eliminate dangerous heavy fuel oil from Arctic waters. By building support from key nations we will beat back Trump’s intent to block or dismantle environmental protections when he moves into the White House come January. We must double down on our efforts to defend the Arctic and create strong environmental rules that protect people, wildlife, and the climate from an exponential increase in ship traffic and catastrophic oils spills. Our fight has gotten harder, and your help now will make a difference. Like so many of our allies, we are going to give it all we’ve got to promote clean energy and fight for a fossil fuel-free world. Get the latest news about our fight to protect the Pacific Rim. 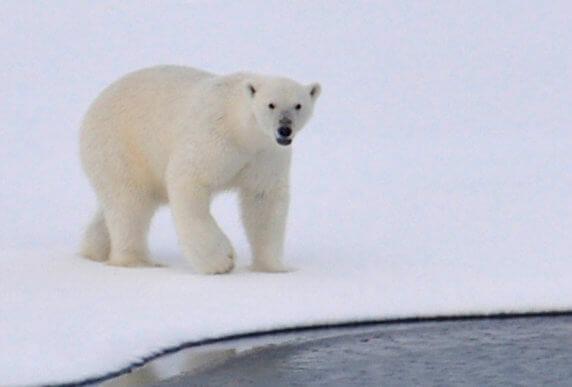 Which Arctic or Subarctic Marine Mammal are You? Celebrate Marine Life with Us this #WorldWildlifeDay! Make a gift today. Your donation supports community-led environmental action and nurtures brave grassroots leaders around the Pacific Rim. Make your voice heard. Sign up for alerts and join us in our fight for thriving communities, healthy oceans and a livable climate. Tweet: Join Pacific Environment in protecting the living environment around the Pacific Rim!